Whoever purported that there is no need to enjoy some style in bed should be shot. Fashion lovers, we have Peter Alexander to thank when it comes to bringing the style de jour back into our boudoir come time to retire for the day. 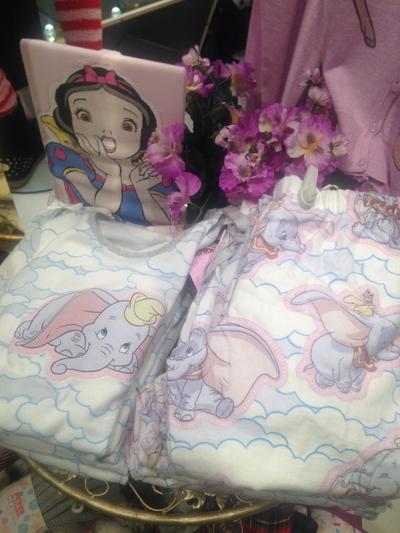 What a better way than to end a busy, hectic day when the time comes to slip into some Peter Alexander pyjamas. 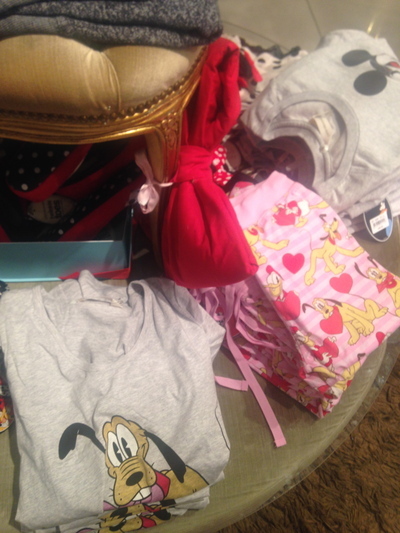 At the time of writing this, you can buy some delightful Peter Alexander pyjamas with Mickey Mouse prints on them. Some of his products are rather versatile too. Case in point: stylish t-shirts. When I was living in Melbourne, I brought a grey top by Peter Alexander with the words "Sleep in the City - Starring Peter Alexander." So appropriate as I was living in a chic, high rise apartment in Melbourne City itself. That in itself was rather dangerous. Why? I was only a block away from Southern Cross Station, where there is a conveniently located Peter Alexander outlet right at the shopping centre on the way to Docklands. For a further walk, there is one in Melbourne's DFO at South Wharf as well. 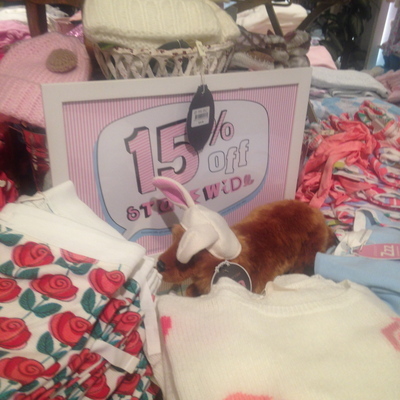 Now that I live in Sydney, shopping at Peter Alexander is not so dangerous now, with the exception of the new pyjama range in March 2014, at the time of writing this. Grey does not always blend in with fair, white skin - yet this t-shirt is so perfect with jeans and his colourful pyjama pants. I also have a plain black Peter Alexander top that serves a multitude of purposes, even with a Burberry scarf and blue jeans - tight or otherwise. Peter Alexander also sells some beautiful slippers. Pink or red velvet with a sparkling heart. 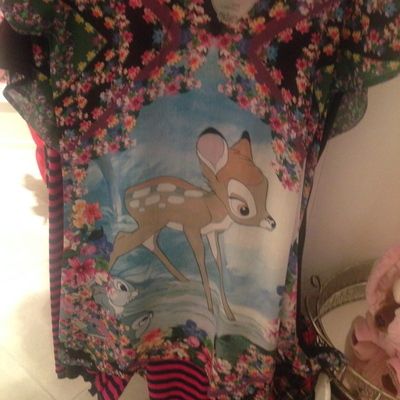 I love the Bambi night dress too. Peter Alexander has also partnered with Glasshouse Fragrances, hence selling some beautiful scented candles. Through a Peter Alexander store, I was first introduced to this beauty brand. His style and taste leaves the bedroom, and can even hatch onto your iPhone with the range of colourful iPhone covers available with the iconic dog. Of course pink shines. 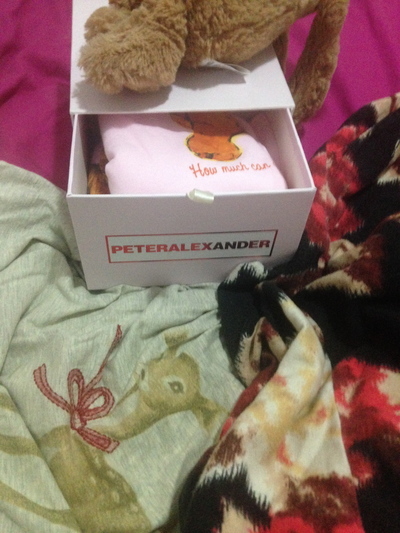 Peter Alexander, you help me enjoy a great nights sleep in some fashionable night clothes. Good to know that I can also buy you at David Jones department stores too. Big fan of the Bambi top!